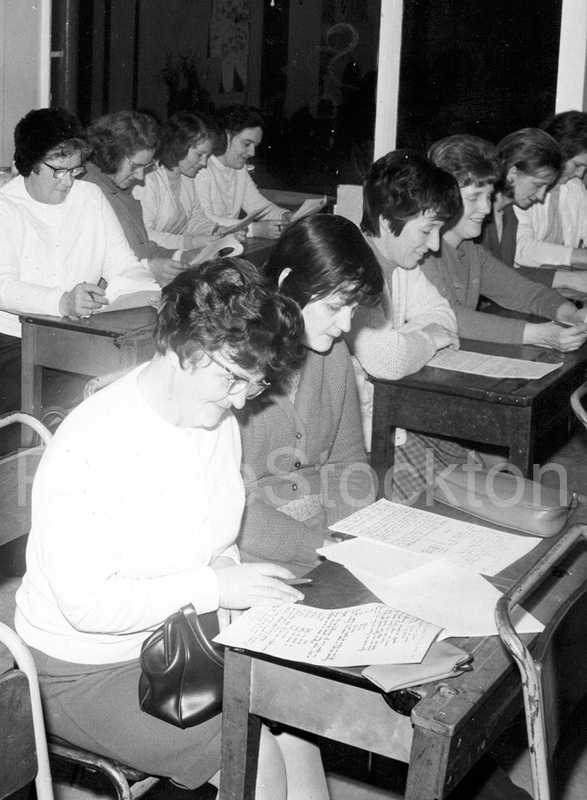 In the foreground of this photograph is my mother Dorothy Wright (nee Bowes) and her sister Jean Calvert during a class held at Hardwick Junior School to help prepare people (probably mothers of the children at the school) for the coming of decimalisation in 1971. I think the photograph was probably taken in the autumn of 1970. My mother was a dinner nanny at the school. Photograph and details courtesy of Dorothy Butler (nee Wright). I remember Mrs Wright from when I when I attended Hardwick Juniors in the seventies, also Mrs Buxton.